They did help to spoon it onto the Seder Plate, though. I seriously could have written a blog post just of the out-takes from this family photo...but maybe next time. Ima's little matzah ball - isn't he delicious? It was recently pointed out to me that I have FOUR children. And then I thought about it and did a big ol' head smack. Right! I have FOUR children. Just like in the Seder. And the one who doesn't know how to ask. So...all week, I've been musing about whether or not my four children fit into the model of the Big Four. Do I have one of each? David could be the Wise child. After all, he is the oldest. He is really bright and seems to know a lot. He remembers what we have taught from year to year and he's excited to show off his knowledge. He is also wise in the sense that he is excited to teach it all to his siblings. Solly is obviously the one who doesn't know how to ask. Too young to do much more than drool or nap through the Seder, he will certainly gain the capacity over the years, God willing. That leaves the Wicked and the Simple children. And I must admit that neither of my remaining little people fall into these categories...all the time. I can certainly consider various times that both of them might be considered the "wicked" one - the times when they refuse to participate, when they throw back to me comments that are meant to hurt, knowing how important this all is to me. Statements like, "I don't want to learn how to say the four questions," or "Do we HAVE to go to Seder?" are clearly designed to get my goat (Passover pun alert) but I also know that they are young and will probably turn into the Wise children as time goes on...and sometimes they are both the Simple children. They don't quite know exactly what this is all about, because they are young and it seems so complicated. So for them we must make the Seder fun and engaging, so that their memories of the Seder are warm and welcoming, so that in time they will WANT to learn more, to grow more, to be more and do more. So maybe I've got it all wrong. It doesn't seem quite right to categorize my children in such a definitive way. After all, even though I said that David could be the Wise child, he also has the capacity for refusing to participate, for challenging and questioning the whole foundation and purpose of the Seder. And it seems unfair to categorize Solly before he's even half a year old, for goodness' sake! I think what the Seder is getting at with this idea of Four Children is the same lesson that I try to remind myself of every day as I interact with my children: each of them are unique in their own way. I have to meet them where they are, at the place and time that they are. Some days, it might be in a wise place. Some days, it might be a simple place. Some days, it might even be a wicked place. And some days, they might not even know what to say or how to ask. And then I just hold them tightly and tell them I love them. May this holiday bring blessings and joy to you and all your loved ones. As we make the final push into Pesach...a few spring-hopeful pictures. We need more spring, now!!!! Now, frankly, my kids don't get why this one is funny at all. They would prefer to watch Grover and that little pink furry character run around looking for the Maror. They like to hear the Count count in Hebrew, and watch the monsters run around teaching the numbers up to four. But I am a big fan of seeing Jake Gyllenhaal hide the afikoman and the teaching about Mimuna, a Moroccan celebration at the end of Pesach. They weren't as enamored of these sections as I was. But it's okay, it kept us all entertained! And my favorite part? The Seder table was presided over by three women. 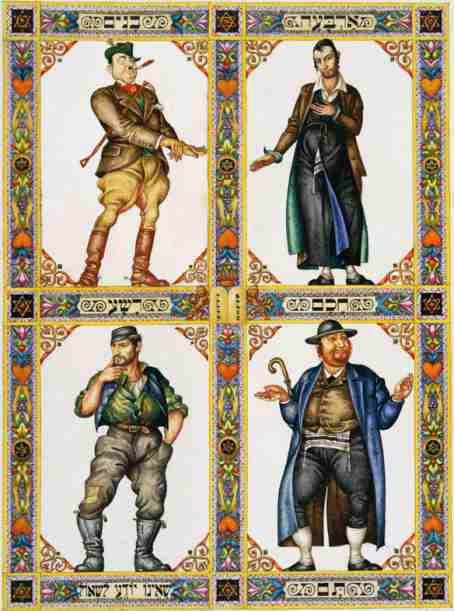 Even though we didn't actually watch them conduct the Seder itself, I still liked the idea that a Seder can have many different appearances and still be a Seder. You can get your own copy of Shalom Sesame: It's Passover, Grover here or at Amazon . Full disclosure: I received a free copy of this DVD for the purposes of review. P.S. Mara is giving one away over at Kosher On a Budget! There might be some other Pesach posts ruminating in the next few days...stay tuned! "Families are like charoset. Each one is tasty in its own way." Mindy Avra Portnoy (famous for her book "Ima on the Bima ," by the way, the inspiration for my blog's title) wrote this sweet story, A Tale of Two Seders , about a little girl who is the child of a divorce. The unnamed little girl tells the story of her six seders since her parents' divorce, each one different and each one with a different variety of charoset... which, I agree, is a good indicator of the quality of a seder! Divorce is not good or easy but this book seems to be a gentle way to help a child of divorce see that he or she is not alone in having a family that is divided. This is certainly a book for a very specific audience, but I think it's an important one, and kudos to Kar-Ben Publishing for adding it to their catalog. So many wonderful books about the Passover seder show family structures that don't apply to every child and every home. This book opens the door to different family narratives. Are you looking for a few good Passover books? Kar-Ben has a great selection in their catalog, including Afikomen Mambo , a book form of one of our favorite Passover songs. What's your favorite Passover book for children? I shared my favorite Passover books for kids a few years back. Full disclosure: I received a review copy of this book (which I'm going to keep on my rabbi-shelves) last year and I got distracted and didn't review it. I held onto it until now and here I am! So many thanks to Kar-Ben for the review copy! Remember how I said that I have my own little magpie? So...I dropped off some library books and then was informed by the library that those same books were overdue. I searched Yael's bed, where she likes to squirrel away all the interesting things she finds around the house. I searched under the dresser, where we have found library books before. I looked on the bookshelves upstairs and downstairs. I was SURE I had returned them. So I went back to the library, armed with the barcode numbers of the missing books. And there they were, on the shelf. What a nice feeling to know that, for today at least, I'm not crazy. Regular blogging to recommence shortly, I sincerely hope. I'll bet you've missed me! Kosher Cooking Carnival #65: Pesach is coming! The Kosher Cooking Carnival KCC is a monthly blog carnival, a “round-up” of blog posts about all aspects of kosher food and cooking. It includes Jewish Law, customs, kosher restaurants, cookbooks and kosher recipes, too. Every month it’s on another blog. The KCC is the brainchild of Batya at me-ander. If you’d like to host an edition, please contact Batya. Can you believe it's Rosh Chodesh Nisan already? I know we had an extra Adar to get us ready for this, but it always seems to sneak up on me. Batya reviews the new cookbook: Quick and Kosher, My Take on The New Cookbook. Ben-Yehudah shares a funny list of answers to How Spicy Do You Like It? Mirjam Weiss shared a whole bunch of yummy looking meals in Suspended Reality posted at Miriyummy. Batya makes Quick and Easy Vegetable Soup and Pizza Dough, Even if You Don't Know How to "Spin It" and You Don't Have a Rolling Pin. She is also creative with Sandwich Spreads. Batya has a guest post to share The Healthiest Hamantaschen - they sound pretty good to me! The Challah Blogger made a Hamantaschen Challah which I'm totally trying next year. And Hadassah is Not Asking Questions about food any more. 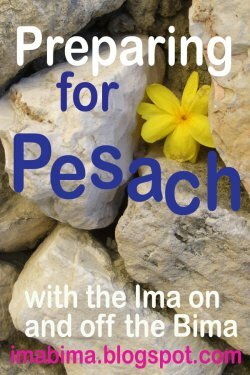 The Frugal Ima is contemplating how to handle Pesach with The Value of Doing Without. Mara at Kosher on a Budget shared this great guest post: How I Learned to Love Pesach by Eating Like an Israeli and also had her weekly recipe round-up about Passover Side Dishes. The (former) Shiksa is making Yukon Gold Mashed Potatoes for Pesach this year. And that's all, folks! 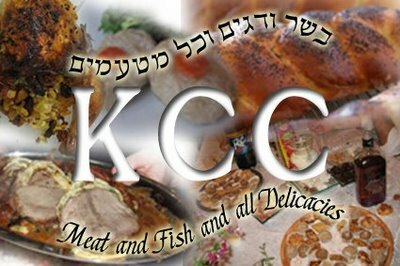 Submit your blog article to the next edition of kosher cooking carnival-kcc using our carnival submission form. Past posts and future hosts can be found on our blog carnival index page.